Although watching copious amounts of television was once considered an anti-social event for homebodies and shut-ins, TV is becoming more of a communal experience everyday thanks to social media. Whether it’s networks tweeting live events or reality shows with Facebook fan pages, social media is connecting audiences with the world of entertainment. 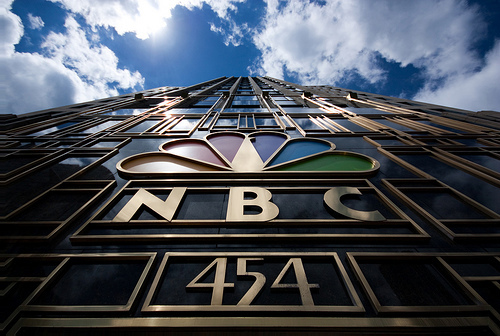 So, which five television networks use social media the most effectively? “American Idol” and social media is a win-win relationship and FOX is taking full advantage of everything that relationship has to offer. With Twitter, FOX has taken hashtags to a whole new level in terms of contestant favorites and results shows. In fact, “American Idol” executives even encourage the judges to live-tweet their opinions regarding contestants. So, if you think the judges are being rude by checking their smartphones during performances, they’re actually tweeting their thoughts for the world to see. If you’re a fan of NBC’s “The Voice,” then you’ve probably already noticed the fan messages at the bottom of the screen during performances. This is NBC’s way of implementing social media into their most popular programs. The fan messages are actually tweets from “Voice” admirers all across the country supporting their favorite contestants. So, next time you see #TeamBlake, it’s your opportunity to become part of the NBC social media revolution. “Modern Family” is considered one of the funniest and most groundbreaking shows on television, so it’s no wonder ABC turned to social media to keep up with fan response to their flagship comedy. Ever since the ABC hit aired, actor Eric Stonestreet has amassed a whopping 200,000 plus Twitter followers and makes it a point to respond to each and every fan that tweets. This increases the “Modern Family” star’s buzz, thus gaining buzz for the show and network. All the major networks have Facebook fan pages and one of the most popular is CBS’s. In times of national crisis, the CBS Fan Page comes to life with posts revolving around the countries thoughts, concerns, and opinions on everything from natural disasters to tragedies. Most recently in the spring, residents of Boston used CBS’s Facebook page to post ground reports of the marathon bombings. Not only that, fan pages like CBS’s and others played a huge role in setting up donations for victims of the horrific events. The mother of all social media-implemented networks is MTV. Knowing the demographic for the show was a younger age range, MTV went straight to social media to get the word out. Two months before the show even premiered, MTV began a “Skins” campaign that included a Skins.tv website, a Tumblr blog, a Twitter handle, a Facebook fan page, and a mobile app. So, whether it’s by way of Facebook, Twitter, or anywhere in between, social media is becoming part of every major network on television. About the Author: Adam Groff is a freelance writer and creator of content. He writes on a variety of topics including entertainment, social media and roofing companies.